QUARTZ COMPOSER, WHERE DO YOU BUY THAT? 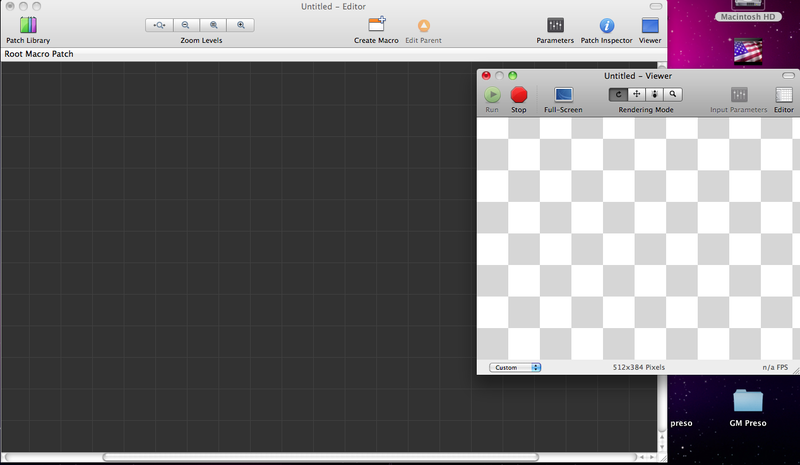 Quartz Composer, originally known as “Pixelshox Studio”, is 100% FREE. 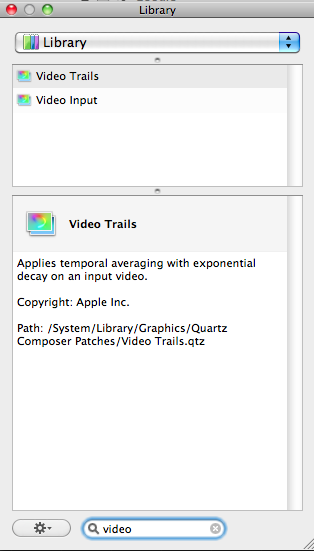 If you own a Mac, you already have Quartz Composer, but it likely isn’t installed. Insert your latest system disc and there should be an “optional installs” icon. 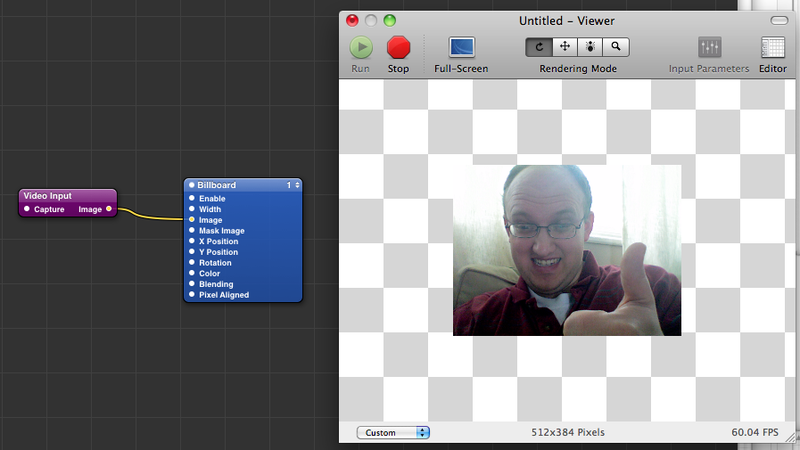 This will install all of the developer tools, including XCode, iPhone Simulator and soforth. Don’t worry, it’s worth it. If you’re familiar with other patchers like Max/MSP or PureData, this will look somewhat familiar. The main difference in the QC patcher is that patches tend to flow from left to right rather than from top to bottom. Also, “macros” or sub-patches are far more commonly used in QC than in the other aforementioned programs. Click on “Patch Library”. This brings up a palette with all of the available patches. Type “video” into the search box and double-click “video input”. This adds a video input patch. This object does nothing yet – it’s an “input” with nothing to “output” to. Fig. 2: One video input hooked to an output. Now all you need to do is copy the input/output objects. The only other step is to manually set the video device to use. You do this by selecting “Video Input” and clicking “Inspector”. Change to the “settings” tab and select the input device. Only two simultaneous FW video inputs are allowed in Mac OS X. I’m not sure how many USB inputs are allowed but I got away with using the Built-in iSight off the iMac running the patch to create two of the four panels. One is zoomed in on the left side and the other zoomed in on the right, creating the illusion of two discrete video feeds. Finally, check out the source file of my Quartz Composer patch – the video inputs will not work (unless you have the same exact cameras hooked up that I did) but it should be educational nonetheless.